With its single-feed design and compact size, the SmartSource Micro Elite SE Cheque Scanner may be the perfect remote deposit capture scanner for low-volume environments. Measuring just 18.5cm by 12.7cm, the SmartSource Elite takes up less space on your desktop than almost any other device out there. And at a rated speed up to 35 documents per minute, it can handle cheques and deposit slips just as fast as you can put them in. 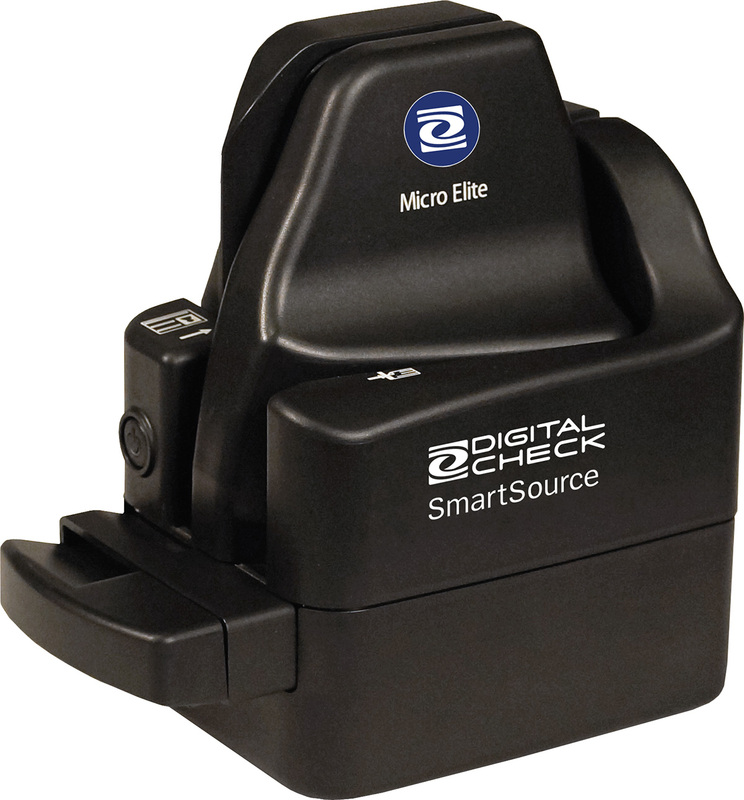 SmartSource Elite means the perfect balance of performance and price for your remote deposit capture operation.